Escrever posts pode ser bastante difícil. Normalmente, sei sempre o que escrever, mas por vezes as ideias não aparecem, é o caso de hoje. Até tenho uma lista no meu telemóvel com imensas ideias que vou apontando, mas às vezes nenhuma delas parece boa o suficiente ou simplesmente ainda não me sinto preparada para escrever sobre determinado assunto. É difícil! Mas parece-me que é o momento ideal para partilhar com vocês o que faço quando isto me acontece. Writing blog posts can be hard. Most of the time I always know what I’m going to write about, but other days, like today, for example, I have zero ideas. I even have a file on my phone where I write down a lot of ideas and titles for blog posts, but sometimes none of them feel. good enough right to write about or you just don’t feel ready to talk about that subject. The struggle is real guys! That’s why today it felt like the perfect day to share with you some tips on how to overcome a writer's block. Ler outros artigos pode ser bastante inspirador. Não estou a dizer para roubarem a ideia, mas, às vezes, determinado assunto pode fazer-vos ter uma outra ideia e ora aí têm o vosso post. Adoro ler revistas, a Vogue Portugal ultimamente tem artigos fantásticos.O site Man Repeller também é muito bom. 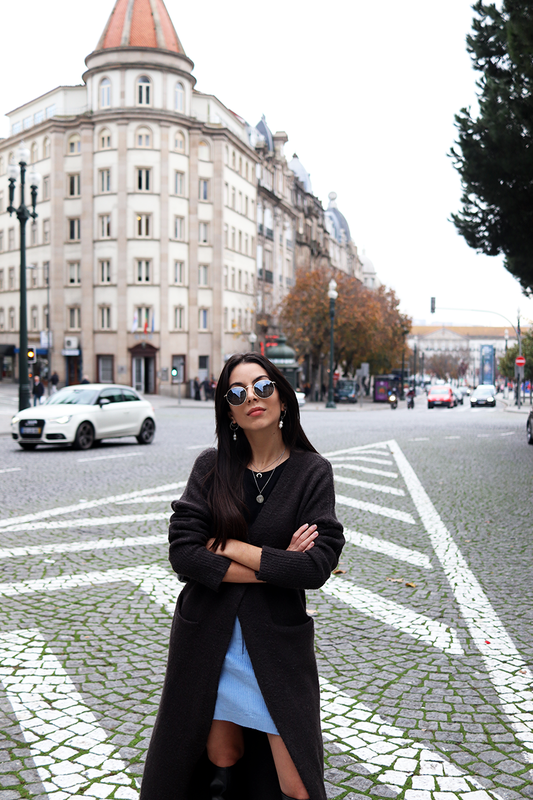 E outros blogs de moda que também gosto muito do estilo de escrita são, por exemplo, o Little Plum, Megan Ellaby, Shot From The Street e Fashion Slave. Reading other people’s articles can be quite inspiring. I’m not saying to take their ideas, but sometimes a subject can make you think about something else and there you have it, another idea comes to you. I really love reading magazines, Vogue Portugal lately has some great articles. Man Repeller is also amazing. And there are quite a few fashion bloggers that I also really love for their writing style, like Little Plum, Megan Ellaby, Shot From The Street or Fashion Slave. Pode parecer estranho, mas se resulta comigo, provavelmente com vocês também vai resultar. Fazer uma caminhada sozinha ajuda-me sempre a ter novas ideias. Acho que talvez seja porque ficas tão focada nos teus pensamentos que as ideias começam a fluir. This might seem odd, but if it works for me, it doesn’t hurt you to try it out. Going for a long walk by myself really helps me get new ideas. I guess it’s because you really get focus on your own thoughts and ideas just start to flow. Podcasts também podem ser muito inspiradores e há alguns que gosto muito de ouvir. Os temas são sempre super interessantes e têm sempre a vantagem que os podem ouvir enquanto fazem qualquer outra coisa. Podem ler ESTE post que fiz há algum tempo com os meus favoritos. Podcasts can be so inspiring as well and there are quite a few that I really love to listen to. The subjects are always interesting and you can listen to them while you’re doing something else which is great. You can read THIS post I did a while ago with some of my favourite ones. Escrever é um desafio! E tu safas-te bem!! Este outfit também está bem fixe! Devo dizer q quando publicaste pela primeira vez estas botas pretas não fui nada à bola com elas.. mas a maneira como tu as conjugas nos outfits faz-me querer comprar umas hahah a verdade é q no incio estranhei-as mas agora gosto bastante!